We are a leading Manufacturer of prefabricated shed, workshop shed, warehouse sheds, shed steel structure, factory shed and industrial sheds from Nagpur, India. Our company is acclaimed among the eminent trader, exporter and supplier of a wide assortment of Prefabricated Shed. Our prefabricated shed is provided with an assortment of specifications & customization options. With the help of our experts, this prefabricated shed is inspected on lots of predefined measures of quality in order to ensure zero defects. This prefabricated shed is more demanded in various places. In addition, our customers can purchase this prefabricated shed at competitive rates from us. With an objective to fulfill clients' variegated requirements, we are offering a wide range of Warehouse Sheds. These warehouse sheds ate manufactured by our practiced workers by utilizing quality assured raw material. The offered warehouse sheds are designed with the precision employing international quality standards. The given range warehouse sheds are inspected by our quality inspectors on diverse measures of quality to make certain their flawlessness. 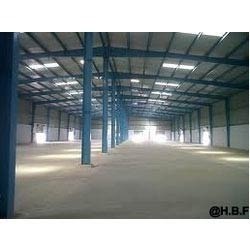 We provide this warehouse shed at most affordable rates. 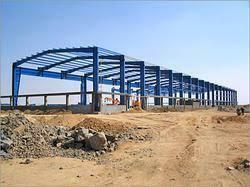 We are counted among the leading trader, exporter and supplier of a wide assortment of Shed Steel Structure. With the help of advance machines and technology, our professionals design this steel structure along with the best grade steel. 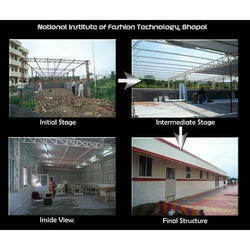 Our steel structure is widely used in different areas for its quality range. We are giving this steel structure to our customers along with the customization facility at pocket friendly prices. 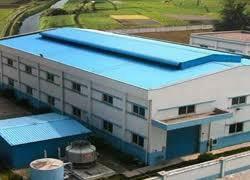 With our rich industry experiences, we are involved in offering Factory Shed. The offered factory sheds are designed by industry experts who use only quality defined raw material and maintain all the standards of market. Our valuable customers can purchase these factory sheds from us at the discounted price. Our factory sheds are examined on quality factors before dispatching from our side. Backed by our hard-earned experience of this business, we are busy in offering an exclusive range of Industrial Sheds. In order to manufacturing these industrial sheds, we use only advance technology & quality assured material. 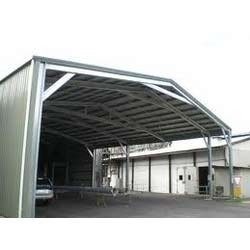 Our industrial shed is well known in the market for its quality. 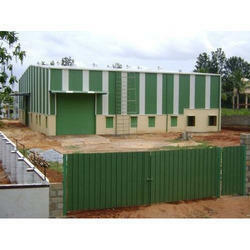 We take care of existing standards of market before manufacturing this industrial shed. In addition, the basic material used for the manufacturing process is examined on various quality measures in order to assure about their flawlessness.